Beautiful Lodges nestled in a peaceful setting with valley views, but within easy reach of Suffolk’s attractions, including the Heritage coast. Sink into a comfy sofa with a book, spend lazy evenings bubbling in a hot tub under the stars, roast marshmallows on the fire pit or enjoy a stroll along the beautiful valley to the local pub. 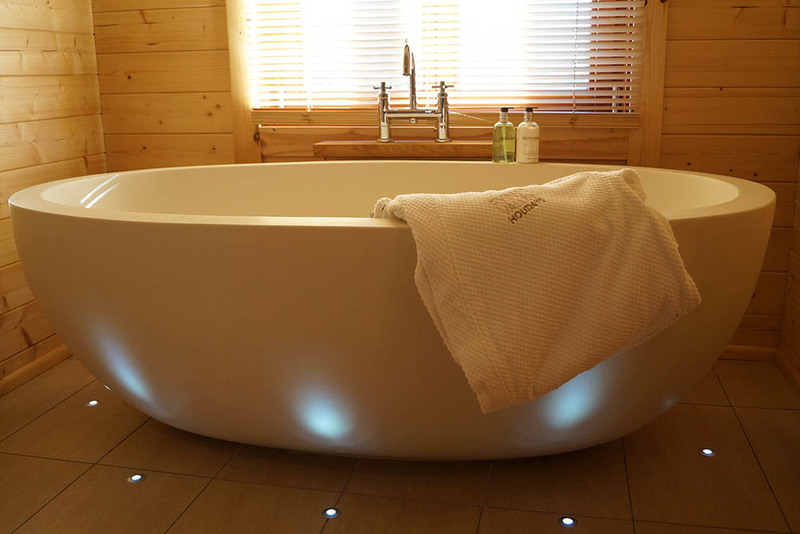 Sit back and let the massaging jets and soothing heat of your private hot tub relax your body and mind. Step into your sauna and close the door on the rest of the world. Our private internal saunas offer the perfect escape to both ease-tired muscles and aid wellbeing. Super king beds with goosedown bedding; soft Egyptian cotton linen and superior quality mattresses assure you a peaceful night’s sleep. Each of our Lodges features two spacious bedrooms with beautiful furniture, flat screen TV’s and large, ensuite bathrooms. To find out more information or book your stay please visit Fynn Valley Holidays.